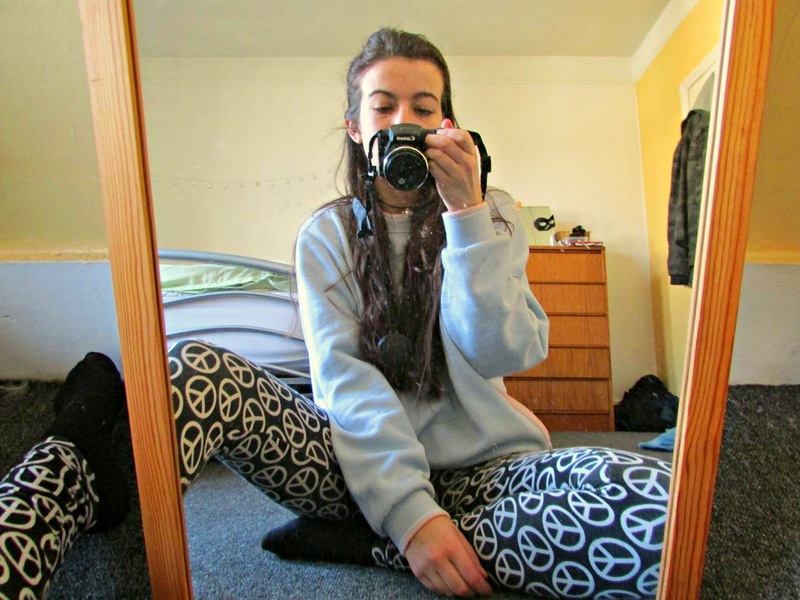 So I have my camera back... but I'm still taking mirror selfies. It's been pretty full on again since we came back to uni after Christmas and me and my photographer housemate are finding it hard to fit it in. I'm also super ill at the moment, I've had a cough for like six/seven weeks now and it's draining me. I finally went to the Drs and was prescribed antibiotics, last ditch attempt to shift this cough. Hopefully they work! Like I keep saying I just live in leggings and baggy sweaters. So so comfy and warm, and because they are printed and cute colours they kinda look like I made an effort...! 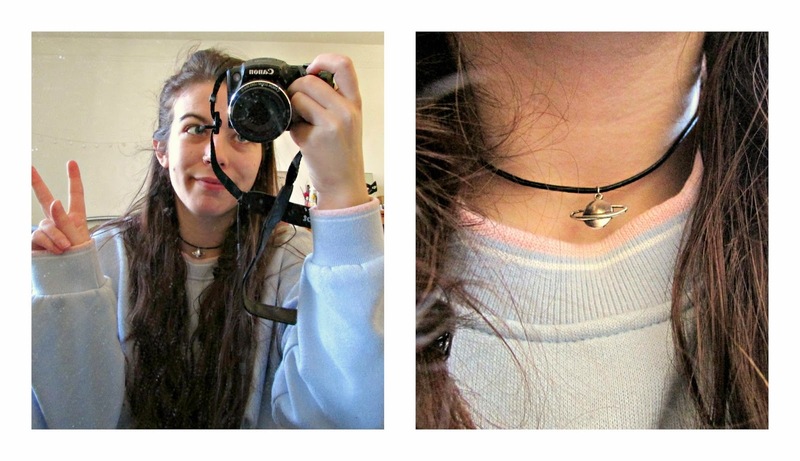 Such a cute necklace, love that. Love cosy outfits like this! I'm glad. :) Yeah I kind of wish the sun showed its face! I kid, I like comfy and cosy!